Occasionally, a little luxury does not hurt anybody. 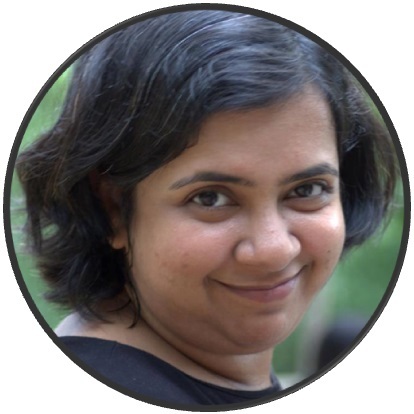 Moreover if that luxury can be achieved with minimal toil in the kitchen, it is even better. 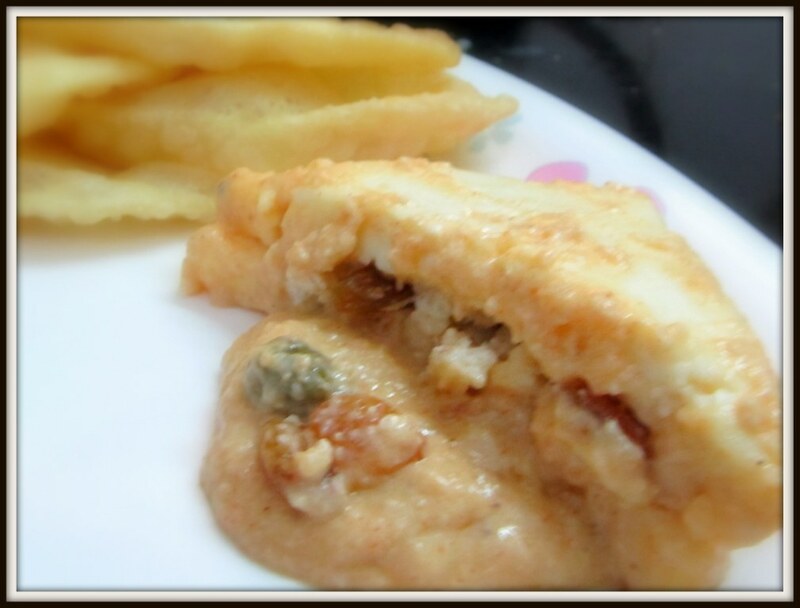 Paneer pasanda is a saahi dish (means dishes for kings and queens) with a sweet flavor. The original version takes a lot of ingredients and a lot of preparation time. But you know me, lazy like hell. But I can never compromise with good taste. So here you go, saahi paneer pasanda, 20 mins version, with same stupendous, finger licking taste. Cut the paneer in two triangular and two long rectangular pieces as shown in the next picture. 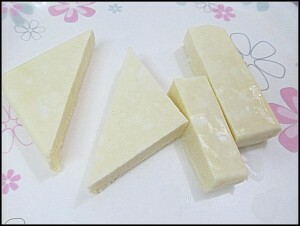 Make a horizontal cut in the middle of the triangular piece. Make the incision such a way that it should still stay connected at the vertex. You need to take a little care in this step. Now lets prepare the filling. 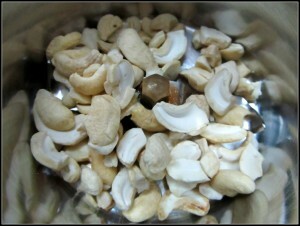 Take a grinder and dry grind (meaning No water) all the cashews till they become like powder. The amount of the powdered cashews should be about four table-spoon. 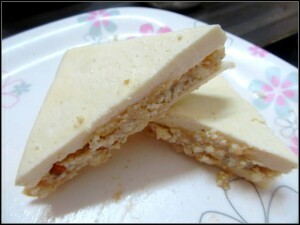 Take two Tbs worth of cashew and one of the rectangular paneer pieces. 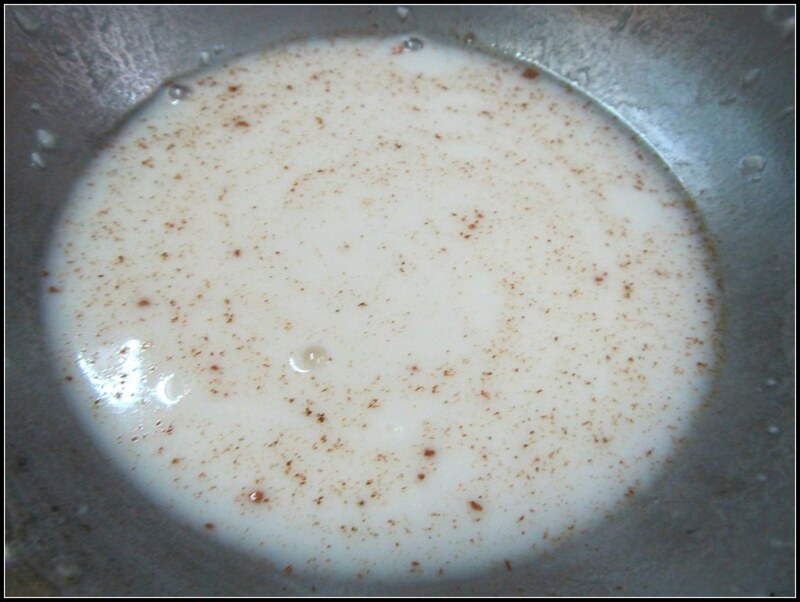 Mix them with 1 tsp cinnamon powder, 1 tsp of nutmeg powder, resins and 1.5 tsp of sugar. This will be used as the stuffing for the paneers. After mixing all the ingredients, taste and tweak to suit your taste buds. 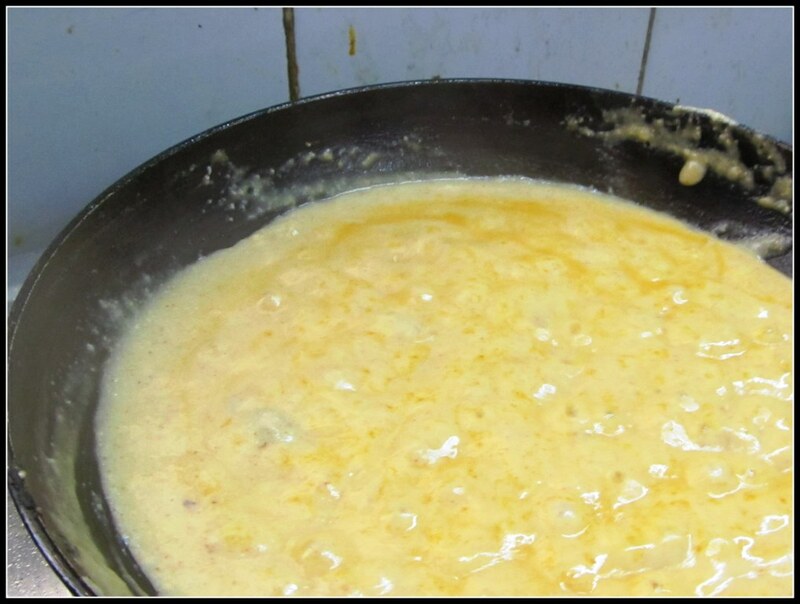 If you want to have pulpy resins then immerse them in normal temperature water for 10-15 mins before you start cooking. Next, carefully stuff the triangular pieces with the stuffing you have just prepared. Hold the connected part gently, then slowly and carefully press in the stuffing. Some stuffing should remain. Keep them, we will use them in the gravy. 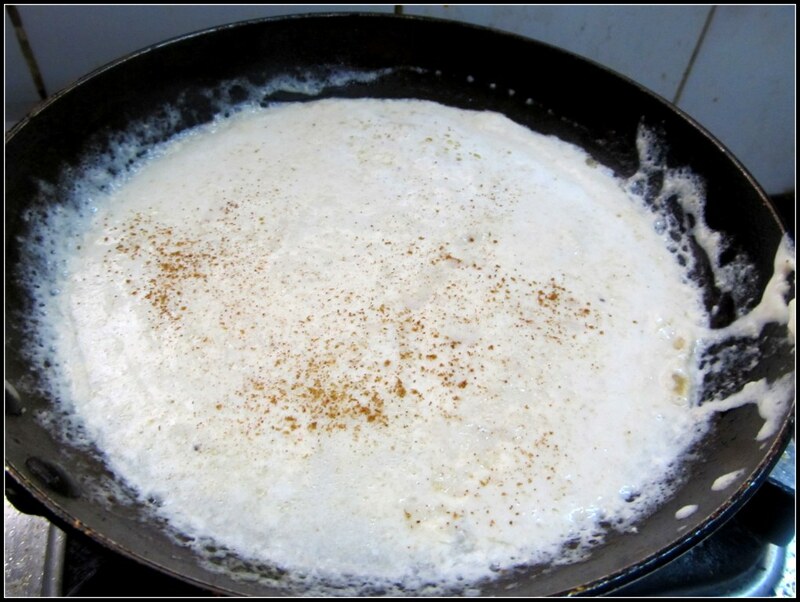 Take bowl and mix the flour and corn flour with some water to make a lite batter. 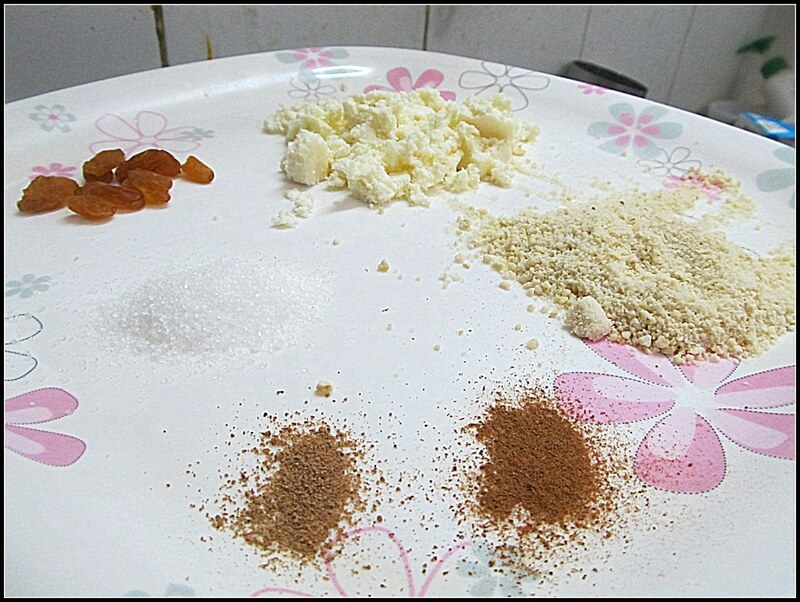 Add a pinch of salt, and if you want you can also add some cinnamon powder in the mixture. Take a frying pan and heat some oil. 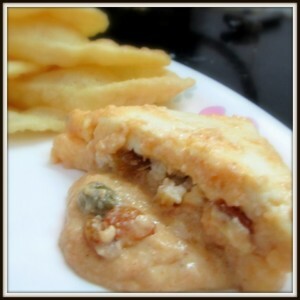 Dip the stuffed paneer and coat the batter on both the sides. 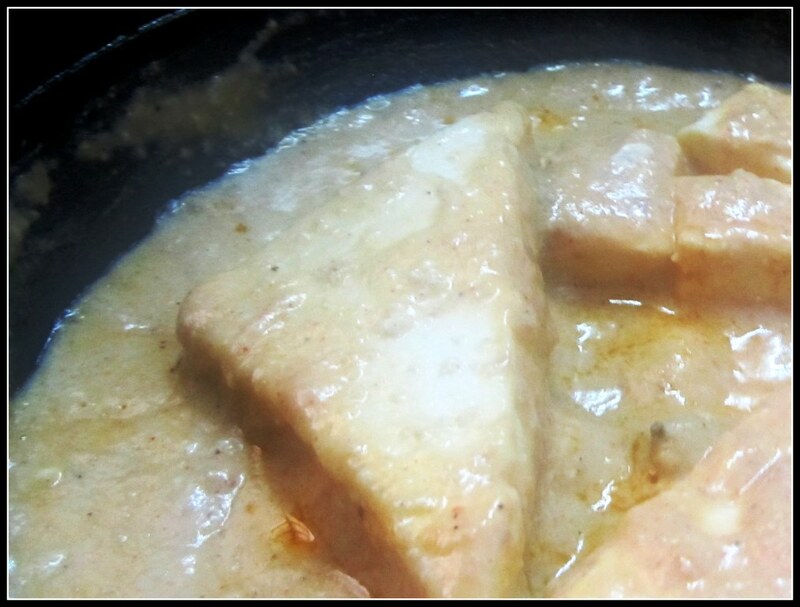 Shallow fry the paneer on both the sides quickly. 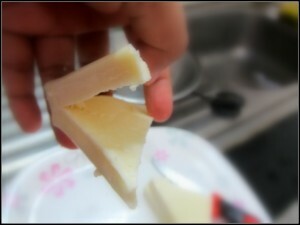 I could not take picture of this step, I did not want to keep my paneer in the frying pan for long. Below is the picture of the end product. Now we will prepare the gravy. 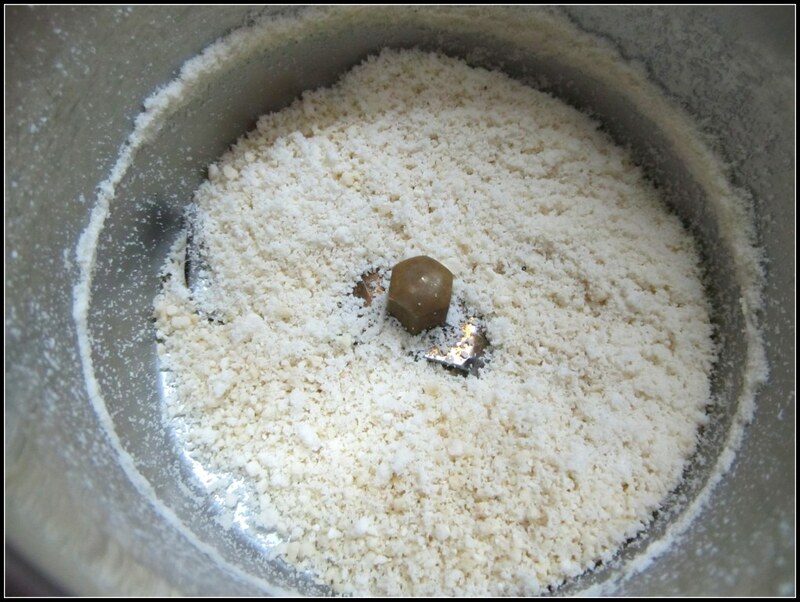 Take the grinder and wet grind (meaning add some water) the poppy seeds and remaining cashew powder to make a thick white paste. It is not always easy to grind poppy seeds using a grinder. I follow these steps, first I add a little water and grind for 2 or 3 minutes and then keep it aside for another 5 minutes. 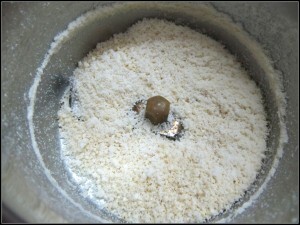 At the end I grind it for another 5 minutes occasionally adding more water, if required. Take the frying pan. Do not to add anymore oil. The oil remaining from the frying will suffice. Pour the poppy seed and cashew paste in the pan. Add some water because this mixture tends to thicken very fast. Add salt, chili powder, little bit of cinnamon powder and nutmeg powder. If you want you can add a little bit of sugar, however the cashews provide the sweetness in this dish, also we are going to add some of the stuffing, which already have some sugar, in the gravy. Keep checking, when you feel the gravy is cooked, stir in remaining stuffing. Mix well. Now add the stuffed paneer. Mix and take the pan off heat. 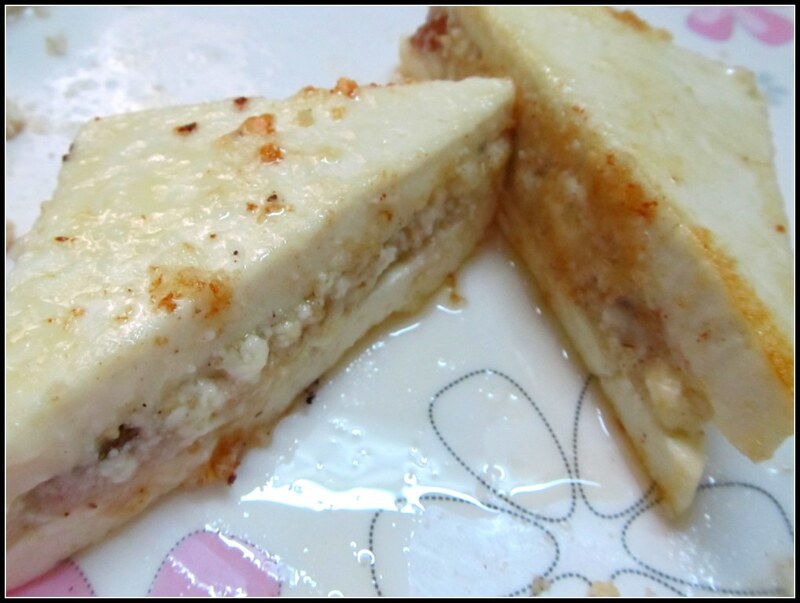 Your paneer pasanda is ready to serve with luchi or paratha. 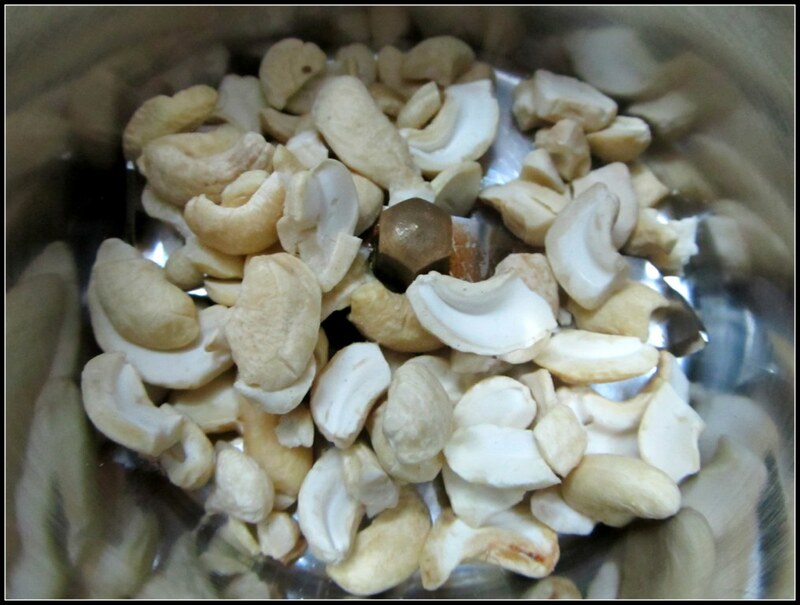 Dry grind the cashew nuts.